Adim Taalna Sangeet is an anthology of poems in the Ahirani language. The poems in the volumes revove around issues of identity, language and culture of adivasis. 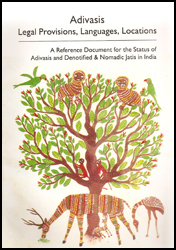 This handbook provides particulars about the adivasi communities and sub-communities of India and the first and second languages spoken by them in each state. This compilation puts together the linguistic regions of adivasi communities and the languages spoken by them with comprehensive statistical data. Significantly, the handbook draws one's attention to the discrepancies in defining community categories as well as language varieties or dialects that have crept in Census studies. 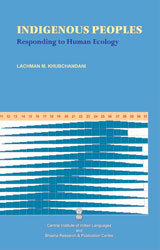 The work provides researchers a comparative perspective on adivasi languages. This compendium has two sections : Adivasi Jane Chhe and Vikas Vichar. Adivasi Jane Chhe is a dialogue between thinkers, artists and philosophers - many of them from adivasi communities - regarding the role of tribal knowledge systems in society, the various modes of knowledge and the processes of knowledge transmission within the community. The second section of the publication has Thoughts on Development that discusses Dr Devy's dialogue and educational experiment with a group of tribal students whom he taught at the Adivasi Academy. Having been part of the formal education system for three decades, the author explores fundamental questions of education, social responsibility, village economy and the definition and ethics of development. Based on actual experience, this book attaches importance to development on people's terms and is a thought provoking guide for every worker devoted to adivasi empowerment. unusual chronicle of immense odds against which the tribals have been struggling. As we drift along the stories within the stories of innumerable characters, essentially small, we are in for tremendous learning about their respect for environment, principle of equality and their power of endurance. It also offers insight into the tribals' coming to terms with their own distinctness, their struggle for existence, their awareness and assimilation with the changing culture. Adivasi Legal Provisions, Languages and Locations brings together laws related to the denotified and nomadic communities together with a list of adivasi communities, their languages and locations. The book is a valuable resource for researchers and scholars. 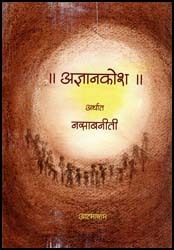 A collection of short stories, Agnyaankosh is a brilliant satire on the governance and social system of India. The panchayat among the Banjara community is known as nasaab. The Banjaras have a tradition of narrating brilliant stories while presenting a defence. The author uses the nasaab method to make a political statement about Indian governance. Ananayne te Por brings together a collection of stories from the Dodia community. 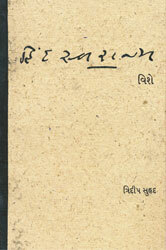 Documented in Dodia language, the publication also carries a summary of every story in Gujarati. 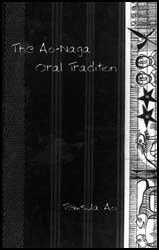 The Ao Naga Oral Tradition is a collection of the oral traditions of the Ao Naga community of Nagaland. Through the belief systems and tales of the Ao-Nagas, Temsula Ao explores what has shaped and nurtured the Ao-Naga people for generations. In the words of the author, this books is an attempt to present this tradition among the Aos as their 'way of life'. The tales reflect the social customs, religion, history and knowledge system of the Ao Nagas. The collection is interesting for the general reader of oral literature as well as the scholar who is likely to explore the world beyond the tales. A detailed bibliography at the end allows the reader an opportunity for further study. Belonging to the Banjara community, Atmaram Rathod was a brilliant writer and social activist. His work is marked by a deep political sensibility and concern for people. 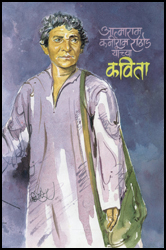 Yancha Kavita is a collection of the author’s poems on Banjara society and culture. This work is a comparative study of two folk epics: Bagdavat Devnarayan, the epic of Rajasthan compiled by Dr Krishnakumar Sharma and Gujrano Arelo, epic of the Bhils of north Gujarat documented by Dr Bhagwandas Patel. Both epics are located within their social, economic, religious and cultural context and reflect the world view and values of their respective communities. 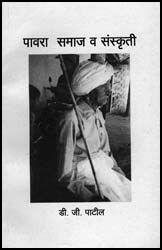 Bharath is a living oral narrative of epical length and scope, prevalent among the Dungri Bhil Adivasis of northern Gujarat. A mélange of ritual, song, music and performance, Bharath bring forth the richness of Adivasi imagination and creativity. 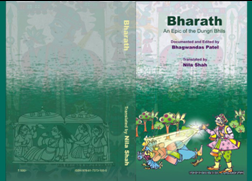 Bharath portrays both the divergences and interconnections the Bhili and the mainstream version of the Mahabharath, opening opportunities for studies in the area of Comparative Literature and Folklore. Bharthari is a folk-epic with its own traditions spread over several states of central and western India and is sung in numerous regional versions. The legend of King Bharthari is very popular among both tribal and non-tribal communities of central India. Documented by Nandkishore Tiwari, Bharthari presents the Chhatisgarhi version of the heroic-spiritual legend of the king primarily based on the extremely popular version of the tale as sung and performed by Surajbai Khande and Lakhan Lal. 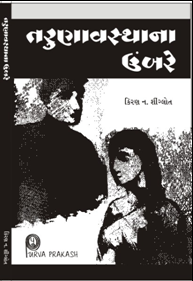 Hapiyade Hokhali is a story of revenge sung among the Dungri Bhils of Sabarkantha and Banaskantha in north Gujarat. Among the Dungri Bhil adivasis there is a tradition of avenging the family whose member gets killed in a rivalry. The community believes that if the death is not avenged, the dead person's soul will not attain peace and the family and the larger community will be struck by calamity. 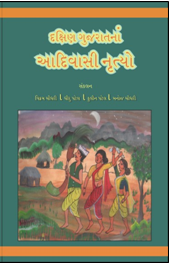 A detailed introduction and prose narration in Gujarati explains the origin of the custom and its implications on adivasi society. Budhan Theatre's journey began from the small library set up in Chharanagar in 1999. Since then this group in Ahmedabad has been experimenting with new forms of expression in theatre. Their plays based on social realities have moved audiences across India. Budhan Bolta Hai brings Dakxin Bajarange's personal struggle as a member of a denotified community to bring dignity and hope to other such communities across the country. The book comprises his autobiography and five of his plays. 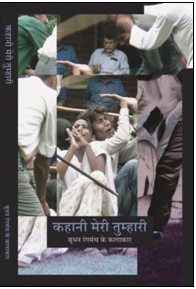 Budhan ke Geet is a collection of activist poems on social issues. 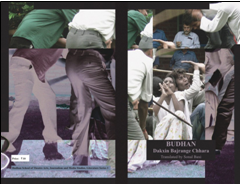 Based on the custodial death incident of Budhan Sabar, Budhan is representative of the injustice and social stigma that the denotified and nomadic communities are faced with. The play speaks of the need to bring justice to the DNTs of India. Bhartiya Adim Sangeet for Gujarat brings selections of tribal songs from Chaudhari, Gamit, Rathwa and Dehwali communities along with their notations. The songs are transcribed in the Devanagri script along with the social and cultural context in which they are traditionally rendered. The book will be extremely useful to researchers and practitioners of music and those from the area of Culture Studies, Folklore, and Anthropology. Compiled between 1984 and 1987, Bhili Mahabharat is the result of its author Bhagwandas Patel's painstaking efforts and devotion to document the traditions of the Garasia Bhils living on the borders of Gujarat and Rajasthan. An eminent folokorist, Bhagwandas Patel has spent a major part of his life documenting their epics and legends. Having lived with the community, Bhagwandas Patel has had the opportunity to participate in their social and religious festivals, which he says follow the pattern of nature's rhythmic cycle. While the original Bhili Mahabharat is sung, the written documentation is valuable for many of us who are not a part of the community. The Bhili version of the Mahabharat is very different form the standard version of the epic and provides and understanding of adivasi traditions and culture. The novel Dapu sensitively delineates the turmoil women in the adivasi society undergo due to the practice of bride-price. Dehwali Literature brings together the songs and poetry of the Dehwali people living in areas bordering Gujarat and Maharashtra, more specifically around Surat, Bharuch, Nandurbar, Navapur, Taloda and Akkalkuva. 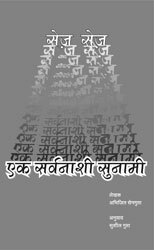 The introduction by Chamulal Rathwa provides a detailed background to the history of the Dehwali people, their oral traditions, migrations and language varieties. The poems are divided into six sections: Songs of Devotion, Songs of Holi, Songs of Romance, Marriage Songs and Songs of Bereavement. 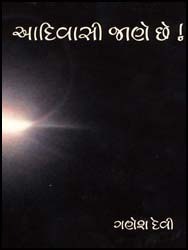 There is a section devoted to contemporary poetry of Babulal Arya, Chamulal Rathwa, Vishram Valvi and Devendra Vasave. Many of these are activist poems based on the themes of freedom, governance, poverty, education and power. The last section of the volume carries Dehwali stories. This is a saga that, on account of its connection with social and religious occasions in folk life, is passed over generations. 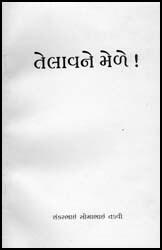 Prevalent in the Bhil region known as Nani Marwad lying on the borders of Gujarat and Rajasthan, the song is presented here in the original Bhili with a brief summary in Gujarati translation. 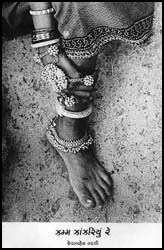 Dakshin Gujaratna Adivasi Nrutyo documents the various dance traditions among adivasis of south Gujarat. The publication presents the context, style and rendering of the Dovra, Madar, Tarpa-Pavri, Dungar Dev-Mavli, Thakarya, Toor and Harkhi dance traditions in Gujarat. Laxman Chauhan gives the legal and social history of the notification and denotification of the nomadic communities of India and how their status as 'criminal tribes' has affected their social status, livelihood and education. The author discusses the issues of the denotified and nomadic tribes, their human rights and legal entitlements. Garhwali Lokgeet is a collection of the folk songs of the Garhwal region in Himachal Pradesh. Govind Chatak has compiled folk songs that are disappearing from the small Gadhwal hamlets at the foothills of the Himalayas. The volume covers songs such as the vasanti, chaiti, khuded and various other forms of lyrics. The volume has distributed songs into prakriti and pranay geet. The songs displaying rich stylistic variety, express human emotions, mountain life, customs, people's relationship with nature and the manifestation of their emotions in nature. Documented and translated into Gujarati by Fr. Raymund A. Chauhan S.J. The stories in Gamit Dantkathao have been documented by Fr Raymond Chauhan who spent seven long years living among the Gamits. Fr Raymond Chauhan is concerned for their gradual erasure from the imagination of the people led him to bring them together as a work of literature. The author emphasizes that the myth narrators in this book are non-literate. However, the stories reflect their inner world of experiences and raises fundamental questions of life. An in-depth introduction adds to the reader's understanding of Gamit society and culture. The Garos are concentrated in the state of Meghalaya. This anthology of Garo Literature contains songs, folktales and poetry and a play. The volume provides an excellent understanding of Garo literature as it has emerged over the generations and provides the reader an overview of the life and culture, traditional myths and the worldview of the Garos. 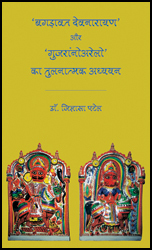 Gorwat is a collection of Banjara literature comprising songs and stories. The long introduction by the author provides a background to the Banjara history, social composition of the community, religion and rituals, practice of magic, role of headman and locates the community in the present context. The detailed notes to the poems give the meaning and context of each poem. Bringing the songs, music and dance of the adivasi communities of Gujarat, this audio visual interactive is a treat for music and art lovers. 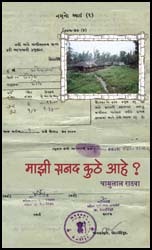 Hatpudan Sanidhyamay Adivasi Pavra Sanskruti locates the Pavra community in its historical, cultural and social context. A highly revered teacher and thinker of the Pavra community, Subhash Pavra provides here an insider's perspective into the Pavra life and society. The book lends a valuable description of the history, religion, beliefs, festivals, rituals, agricultural modes, language, literature, games and culture of the Pavra Bhils living in the Satpura range bordering Maharashtra. 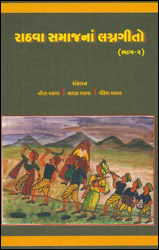 Hatpudan Sanidhyamay Adivasi Pavra Sanskruti is a study of Pavra culture through the eyes of a Pavra himself. Hind Swaraj Vishe is a chapter by chapter analysis of Mahatma Gandhi's Hind Swaraj. Written in 1908 on the eve of modernization, Hind Swaraj continues to be the heart of Mahatma Gandhi's worldview on modern civilization and swaraj. Published on the eve of the centenary year of the book, Tridip Suhrud asks in his Introduction to Hind Swaraj Vishe, How are we to read Hind Swaraj? Hind Swaraj Vishe offers a reading of Mahatma Gandhi's critique of modern civilisation as he perceived it on the eve of its advent, as well as revisits it from a location in time that is so completely immersed in modern civilization. Very aptly, in the author's own words, Hind Swaraj Vishe offers multiple readings, and is open to interpretation as 'one views it'. Indigenous Peoples reflects upon the current development crises in a framework of human ecology and discusses how adivasis respond to such phenomenon. Indigenous Peoples explores the rubric of indigenous knowledge systems in relation to the functions of sociocultural development and education and discusses the issue of language endangerment in the context of politico-economic and technological patterns of modern societies. 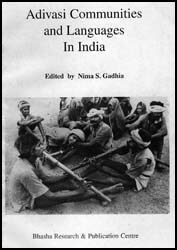 The book explores the vacillation and assertion of language identities among adivasis to adjust with the changing times and argues for re-assessment of development plans and strategies in the context of adivasi worldview. The first ever collection of songs of the adivasi communities of the eastern tribal belt of Gujarat, Jhamm Jhanjhariyu Re brings together songs related to the Haleni and Kudaniyu dances of the Tadvi community of Sankheda taluka in Vadodara district. Marriage among Tadvis is an extremely festive occasion and songs and dance begin a month or two before the marriage ceremony. No musical instruments are used during the renderings. Both men and women participate in the Haleni dance. Revaben Tadvi presents here the songs along with detailed meanings of community specific words. 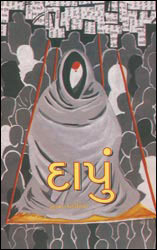 This volume has received the Gujarat Sahitya Akademi Award for folk literature. Located in Ahmedabad, the Budhan Theatre Group has evolved from the efforts of the Chhara denotified community to redefine their 'criminal' identity. Kahani Meri Tumhari voices the life stories of the Budhan Theatre Actors as they present their struggle to survive and establish themselves as artists, defying the label of 'born criminal' that has historically been appended to the denotified and nomadic communities. Kinnari Sabhyata aur Sahitya has a very detailed introduction by Tashi Chhering Negi that familiarizes the reader with the geography, history and socio-cultural aspects of the people of Kinnaur in Himachal Pradesh. The author presents a wide range of songs: songs for gods and goddesses, songs for religious occasions, death songs, historical songs, songs linked to places or memorials, religious legends, marriage songs, songs for social occasions. Many of these have a source in an actual event in the past. The volume also includes an interesting collection of short stories. In their actual renderings, these tales are nararated to the accompaniment of 'ghanghali', 'thali', 'dhak', 'madal', 'sangad' and go on for eight to ten hours. These tales present the personal world view of the community and its belief system. This volume of Marathi and Dehwali poems expresses the pathos of the adivasis deprived of their traditional rights over the forests. 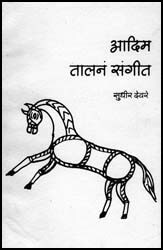 Belonging to Khandbara in Nandurbar taluka of Maharashtra, Chamulal Rathwa’s poems are a poignant representation of the sense of exploitation among the adivasis and their struggle to survive with dignity. Male Madeswara, an oral epic sung in Karnataka, is documented by K. Keshavan Prasad on the recitation of the epic by Hebbani Madayya and his troupe. Male Madeswara has six major episodes that narrate the story of Madeswara, a young Veerashira saint, who wanders for long in search of a suitable place to settle down, struggles hard to establish his cult among strange people who follow other gods and eventually gets himself anchored in the hearts of the common people by his miraculous deeds. There are many versions of the story of Madeswara; however, this is the longest and the most popular. The Kondhs comprise a homogenous tribal group in Orissa that speak the Kui, Kuvi, Pengo, Manda and Indi-Awe languages. Manda Oral Literature presents the myths, festivals, rituals, life cycles and stories of the Manda-Kondhs, reflecting the sociocultural conventions of the community, its traditional wisdom and knowledge, relationship with nature, worldview and philosophy of life. The documentation is a step towards preservation of the tribal socio-cultural and linguistic heritage for posterity that in turn provides a unique identity to the community. 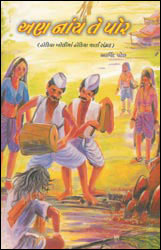 A novel in Panchmahali Bhili language, Mandol is based on the practise of witchcraft prevalent among adivasi communities. Surmal Vahonia sensitively portrays how this social practise among the adivasi communities has become a way of exploiting its own people, especially its women. The Manda language spoken by a section of the Kondh tribe belongs to the south-central sub-group of the Dravidian family of languages. The Manda-Kondhs inhabit the highlands of Thuamal Rampur Block of Kalahandi district in Orissa. Having a population of about five thousand, the languages of the Kondh community have become endangered under the impact and influence of the major regional languages and their dominance in the visual electronic media. 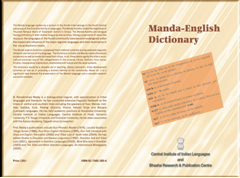 The Manda-English Dictionary brings the Manda native (Dravidian) vocabulary as well as words borrowed from Oriya. The vocabulary presented here signifies the tribe's socio-cultural practices, ways of life, categorization of the universe, rituals, festivals, flora, fauna, kinship, inter-personal interaction, relationship with nature and value systems. 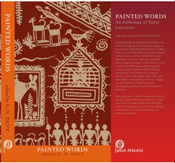 Painted Words is the first collection of its kind: writings in a rich variety of genres by Adivasis and denotified tribals. Culled from all over India, the selections include tribal versions of the Mahabharat and Ramayan, colourful legends, rhythmic epics, poignant songs, oral histories and a simple but chilling play depicting the routine exploitation of tribal citizens. Anchoring such fancies as a magical flower, a bed with golden legs and a girl who lights cooking fires with her tongue are the realities of political graft, wedding-day debacles and rank police brutality. Edited by one of India's foremost literary critics, Painted Words spotlights a rarely seen, barely understood facet of India's cultural heritage, and shows how deeply intertwined are the mainstream and tribal traditions. Pavra Samaj va Sanskruti is an anthropological study of the Pavra community, its historical background, migrations, relations with the outside world, architecture, village and community composition, culture, traditions, mechanisms of conflict resolution, family structure, marriage and kinship, economy, land and ecology. It is observed that adivasi tones connect to the primeval consciousness. Pratisaad is an attempt to present a few Rathwa, Dehwali and Gamit wedding compositions sung originally by adivasi women of Gujarat, India in their traditional way. This CD aims at exploring the nuances and complexities of adivasi music by re-rendering it. It is interesting to observe the journey of the songs from the tranquility of forest villages to urban context. Music subtly changes its colour and tone when a trained urban voice responds to these adivasi songs in order to enhance the melodic structure of these outwardly simple looking compositions. However, to focus more on the melody, a minimalistic approach has been followed in re-recording these songs. The renderings include only three acoustic Indian instruments along with the solo voice of Prachi Dublay. Police ni Sangathe Apde was designed with the Department of Rural Police, Vadodara District, to spread legal literacy among the adivasis. 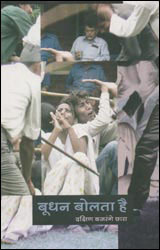 The booklet illustrates the relevant sections of the Indian Penal Code. The illustrations are prepared by adivasi artists and each Code is presented in both Gujarati and Rathwi, the adivasi language of the Rath area of Vadodara district. The book is widely used by village panchayats and community leaders for legal sensitisation. 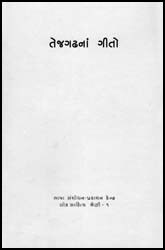 Rathwa Samajna Lagnageeto documents the songs traditionally sung among the Rathwa community of Vadodara District during marriage occasions. There are currently three volumes available in this compilation. 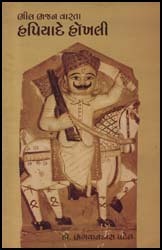 Rathod Varta, an oral heroic narrative of the Dungri Bhils of Gujarat, brings the exploits of the hero-god Pabu, a Rathor Rajput. Sung on the occasion of huro, this tale of heroic exploit has a different version across the border in Rajasthan, lending possibilities for cross border and comparative research. Rathod Varta brings to life the tradition of avenging the death within one's family or clan existing among the Dungri Bhils. Steeped in the lore of the past the tale brings alive the history of the Dungri Bhil community, its values, and the relationship it shares with its past and ancestors. Traditionally performed amidst community gatherings to the accompaniment of music, this English translation is a valuable addition to the richness and diversity of oral traditions of adivasi communities in India. Special Economic Zones are being welcomed by many as a marker of economic progress. SEZ:Ek Sarvanashi Tsunami presents the impact of SEZ on marginalized communities who are largely the ones to be deprived or displaced by such initiatives. This book discusses the international context in which the SEZ Act came into being and presents a detailed analysis of its social, legal and ecological framework. The author draws upon the horrendous impact of similar experiments in Brazil, Japan, Argentina, Phillipines and Indonesia. SEZ : Ek Sarvanashi Tsunami looks at the various aspects of setting up of new enterprises under SEZ, its implication on people, their land, ecology, livelihood, agriculture, culture, economy and health. The book is a view from the margins of this new development intervention enveloping society and is a must read for activists, community workers as well as general readers. 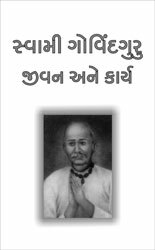 Swami Govind Guru : Jeevan ane Karya covers the life of Govind Guru who spent his life carrying out social reforms among the adivasis of Gujarat and Rajasthan. More importantly, the books documents the Mangadh uprising that witnessed a massacre even larger than the Jallianwala Bagh but is overlooked by history. Mangadh, located on the borders of Gujarat and Rajasthan was the location of a major revolt against the British rule in 1913. 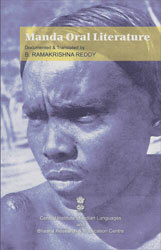 The book lends an interesting glimpse into the life and times of adivasi society in Gujarat during the period. 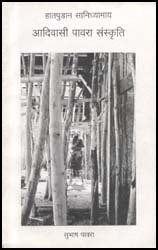 The Inventory presented in this volume is the official inventory of collections in possession of the Tribal Research and Training Institutes set up or supported by the Government of India. This Inventory, if not an exhaustive listing of the rich diversity of the materials, is nonetheless a definitive invitation for researchers and institutions engaged in conservation of tribal culture for a future exploration. The present volume is the base-line inventory and, it is hoped, will be followed by supplementary volumes in future. 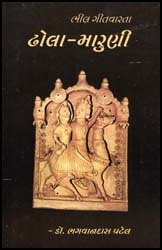 This book being one of its kind, contains more than nine hundred tribal artifacts from fourteen tribal museums in India. The presented artifact's information contains both pictures and information regarding the making and use of the object in its natural space. It is both a collectors' book for Tribal arts and a researcher's handbook for tribal material culture in India. 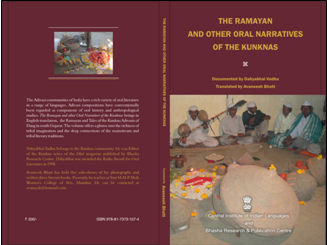 The Ramayan and other Oral Narratives of the Kunknas presents the oral tradition of the Ramayan and other narratives prevalent among the Kunkna adivasis of Dang in South Gujarat. 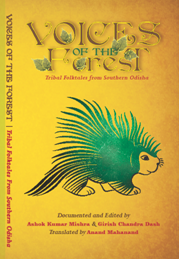 The volume offers a glimpse into the richness of tribal imagination and the deep connections of the mainstream and tribal literary traditions. Tejgadh na Geeto is a compilation of songs related to childhood, marriage and social occasions of Tejgadh, an adivasi village in Vadodara district. Compiled by Manisha Varia and Nagin J Rathwa, this small but significant collection brings alive the community life of the village. The first novel in the Rathwi language, Telaavne Mele narrates a story woven around the institution of marriage among the Rathwas living on the borders of Gujarat, Maharashtra and Madhya Pradesh and celebrates the free spirit inherent in their institution of marriage. 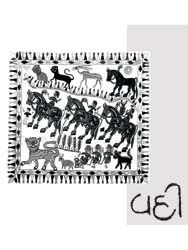 Tribal Literature of Gujarat presents the oral literature of the various adivasi communities of Gujarat's eastern belt. 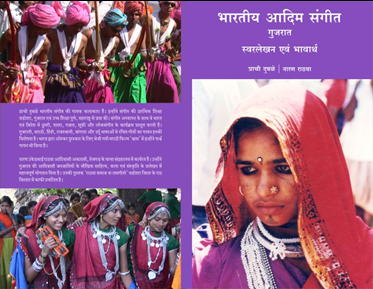 Along with literature, the book offers cultural and linguistic descriptions of the various tribal communities in the state and features stories and songs from each community in the original adivasi language as well as in English translation. These stories and songs have been either transcribed by local scholars or have been originally composed by adivasi authors themselves. 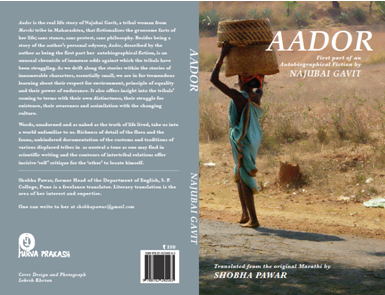 The aim of the volume is to offer the reader a glimpse into the narrative traditions of Gujarat's adivasi communities. Addressing the phase of adolescence, the book discusses the physical, psychological and emotional changes that young girls and boys undergo during this phase. A must read for teachers and parents. 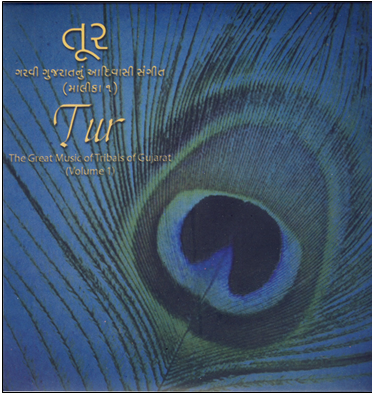 These volumes contain Dehwali, Gujarati, Chaudhari, Rathwi and Gamit songs sung to the tune of instruments like Ghangri, Mandal, Dhol, Sharnai, Nagari, Peha, Pehi, Tur, Thali, Dhak, Kartal and Vohri. Rendered during festivals, weddings, cultural melas, the songs and music presents the essence of Adivasi expression and engagement with life. These eight CDs contain original songs by Adivasi artists of the entire eastern belt of Gujarat. 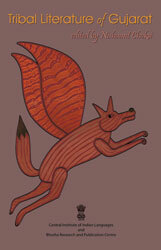 Vaacha is an imaginary village and has the distinction of being first interactive media designed for museums in India. 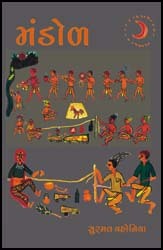 Vaacha consists of numerous animated folktales, films, photographs and more than 900 examples of tribal art from India. One can explore these by visiting various places in the village such as the market, forest, river, fields and pastures where you will learn about the different adivasi communities, their religious and cultural practices, music, dance, handicrafts, paintings and much more. Vaacha was created as part of the National Consortium of Tribal Arts and Culture, a project carried out by Bhasha Research and Publication Centre with the support of Ministry of Tribal Affairs, Government of India. Voices of the Forest is an endeavour to document and preserve an important part of our collective cultural heritage. The folktales included in the collection belong to the Paraja, Gadaba, Bonda and Didai Adivasi communities inhabiting the southern regions of Odisha in Eastern India. In these tales, animals are the main characters. The tales reflect the economic and social life of the community, giving a glimpse into their culture, traditions and beliefs. Together, the tales help us to know these communities closely and learn from them significant aspects of the relationship between Nature, Animal and Man. This special issue of Vahi on adivasi literature presents poems by young generation of adivasi writers in Dehwali, Panchmahali Bhili, Rathwi, Gujarati, English, Hindi and Dungri Bhili languages. Warli Lokgeet brings together songs in the Warli language sung in and around Nasik and Thane districts of Maharashtra and the borders of Gujarat. Songs sung on various occasions among the Warlis have been collected and translated into Marathi by Kavita Mahajan. Arjunsinh Pargi's Warso is a compilation of the songs sung among the Panchmahal Bhils living in Dahod district of Gujarat. The collection includes garbi, wagdishaili, ganesh sthapna, hindora geet, mamera geet and mandavana geet. The collection has 158 songs spanning one's entire lifetime. They bring alive various occasions of birth, childhood, marriage, death, separation and bereavement and give a glimpse of the community's social customs and ceremonies.